CBSE improvement exam application form 2019-20 for class 10th and 12th is an option for CBSE students who already appeared in exams. Really CBSE improvement is a blessing for students whose score in board exams is not satisfactory. 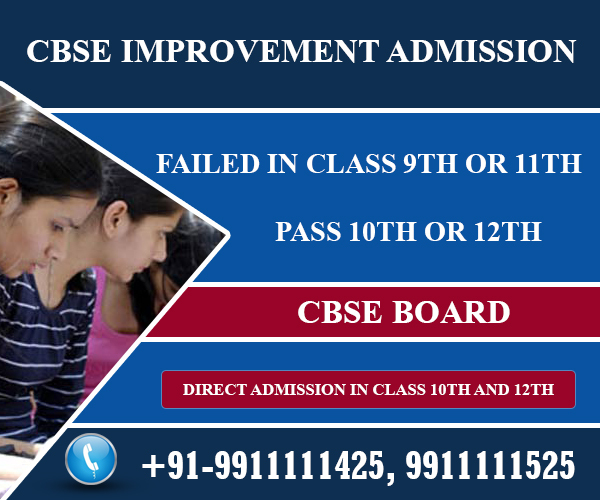 if you want to improve your marks in CBSE BOARD exam contact us for more information and admission procedure before the last date. 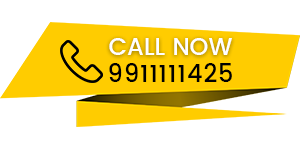 call now ; 9911111425 , 9911111525. If you are a student who appeared in board exams for 10th and 12th but not satisfied with your score from any school – don’t worry, you can approach us immediately. First you will get our expert’s help for your CBSE improvement exam admission in class 10th or 12th for public exam in 2020. You can pass your class 10th or 12th board exam with high marks and go out happily! How CBSE Patrachar school help for CBSE Improvement Exam 2020? 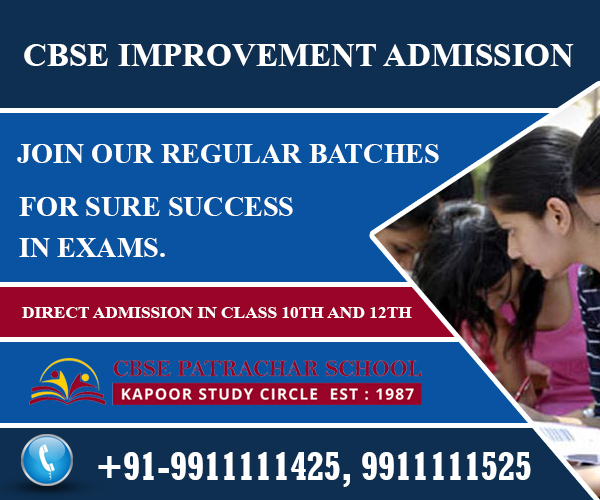 CBSE patrachar school is formed with the sole-aim of helping student community dropped out or school fail students. Alos we help Students who want to improve their Previous score in CBSE board exams by the way of CBSE IMPROVEMENT EXAM 2020 either in class 10th or class 12th. We are the most popular and oldest Institute in Delhi. With our focused efforts thousands of our students from Delhi, Gurugram (Gurgaon) Ghaziabad, Noida, sonipat, have passed 10th class and 12th class CBSE exams, with our help through CBSE Improvement exam admission. Now you can also be one of them to enjoy happiness of reviving school life once again. our experts will see to it that you get CBSE Improvement exam admission for 10th class or 12th class, as the case may be. Impart special coaching in all subjects by regular classes at our centers Delhi! Sharpen your skills to face the exams with confidence and pass out with high marks! Our institute is dedicated to service the school-going students, particularly failed and dropped-out students. 10th standard failed students can reappear as private candidates through CBSE correspondence, CBSE private, CBSE improvement admission in the next public exam in 2020. 11th standard failed students, 12th standard failed students and school-drop outs get a new life and a second chance through CBSE admission to appear in the CBSE 12th or 12th standard public exam in 2020.
we take care of your all admission formalities in either 10th standard or 12th standard, as per your qualification. Being private students of CBSE correspondence admission, you need not attend regular schools, like other students. we also conducts special coaching classes at Delhi study centers in north Delhi, shalimar Bagh, Rohini, Pitam pura, South delhi, Janakpuri, Dwarka and many other places during morning, evening and week-ends. If you are working, you can choose the convenient timing suitable for you. The experienced teachers illustrate each lesson and subject for 10th standard and 12th standard, in the coaching classes with sophisticated equipment. we provide study materials, notes, guides and tips to improve your knowledge and skill in the subjects, especially in the failed-subjects. Previous question papers with answers are supplied; and mock-tests are conducted to familiarize you with the exam papers. With such individualized special coaching, you become more skilled and knowledgeable student. You can also pass 10th or 12th standard very easily with top-marks! 1. Admit card of previous year examination of class 12th . 2. Photo copy of class 12th and 10th pass mark sheets. 3. 3 passport size color photographs of the student. 4. Aadhar card is mandatory for all CBSE admissions ,a photo copy of students aadhar card is also required for admission. 1. Admit card of previous year examination of class 10th . 2. Photo copy of class 10th pass mark sheets.